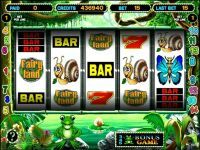 One of the most popular slot machines - online gaming machine Fairy Land (Frog)! 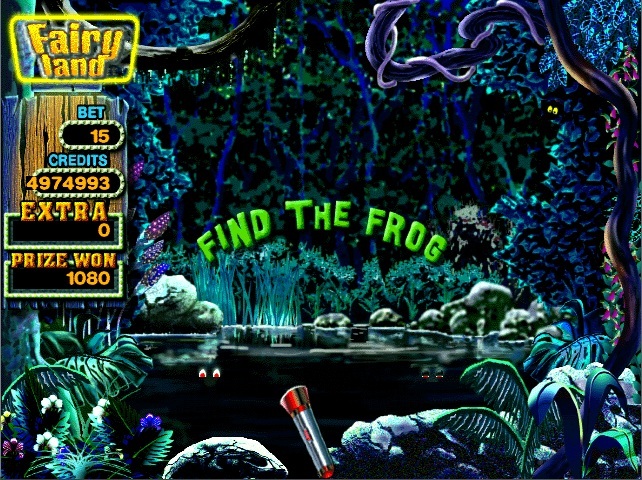 It is a very colorful fascinating magical world where the hero stands frog. This game in the style of drum machines, ie at the beginning of a new game simulates the circular rotation of the image drum - in fact it is an optical illusion. But it's not in it, and that you will enjoy the bonus in this game. 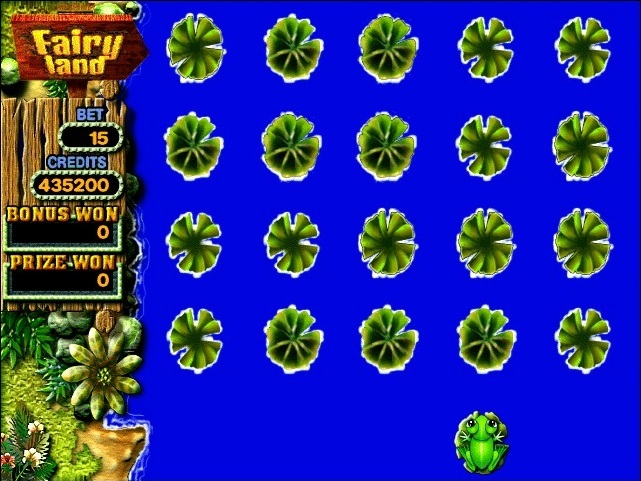 If you are lucky enough to catch a 3 or a green frog - start bonus game where you have to go through 5 stages to overcome the swamp and not to run into a crocodile. 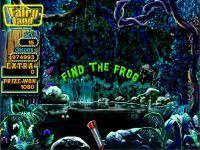 If you're playing for high stakes, then hitting the crocodile, you will have another chance to continue moving toward the goal and purpose - to reach the last line. 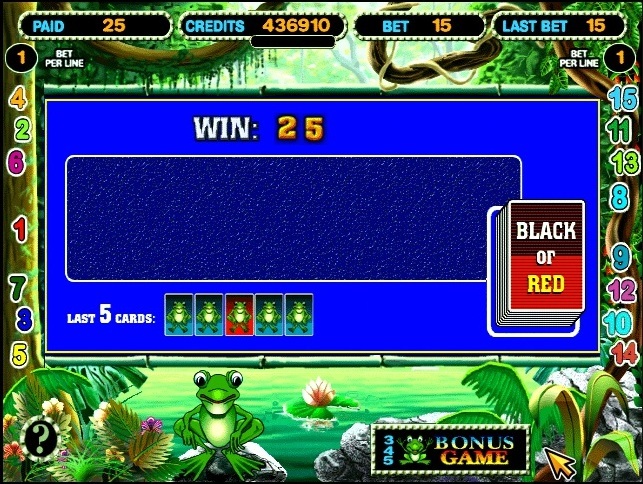 If you succeed, then you wait for the second bonus game where you can endlessly to double your winnings! 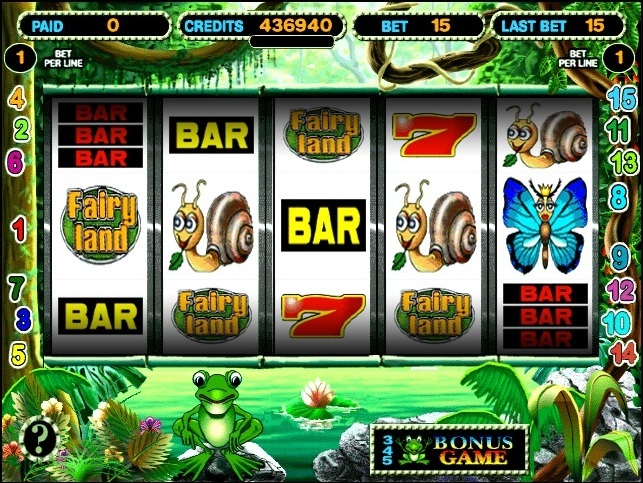 In addition to the bonus game itself is a pleasant experience because of the beautiful design solutions design and music! Enjoy! 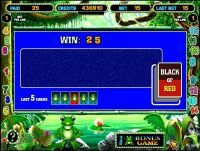 With the passage of the bonus game begins super bonus in which you can increase your winnings.